how to create low cost, high impact social media campaigns. The training lasts for half a day. By the end of the session, you’ll know how to optimise social media for your business. You'll also leave with a guide on how to create personas for your business and manage your social media in under 20 minutes a day! 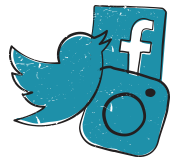 Your trainer will give you practical advice, show examples and set exercises so you can discuss with others in the group how to manage your social media effectively. It costs £1,000 +VAT for up to 5 people. Any additional attendees are charged at £100 + VAT per head. 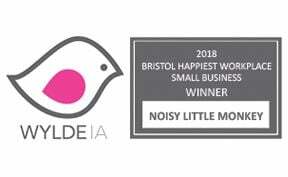 The training is delivered at the Noisy Little Monkey offices in the Tobacco Factory in Bristol. Best for website owners and managers wishing to grow and engage their audience using social media. You'll want to have your social media accounts set up already - this isn't for people who have no idea what Twitter is!